Tom Felton (Draco Malfoy) visited with the Beauxbatons at The Wizarding World of Harry Potter during his recent visit to Universal Orlando Resort. First Michael Douglas and Catherine Zeta-Jones, and now Tom Felton (the actor better know as Draco Malfoy) has made his way to the Wizarding World of Harry Potter. He’s one of our favorite “bad boys” and what fun to see him here in Orlando. He was present at the Grand Opening, but it’s nice that he’s come back again. How fun! 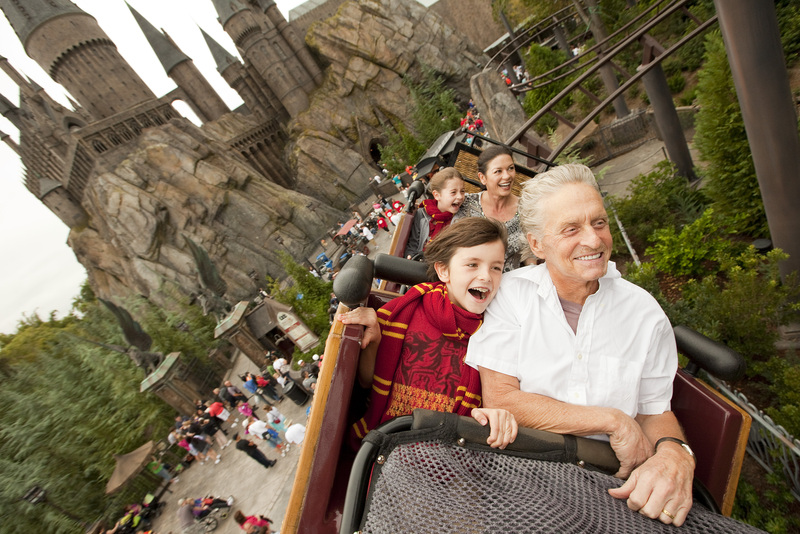 Celebrity sighting in Orlando: Academy award-winning actors Michael Douglas and wife Catherine Zeta-Jones along with their children flew over The Wizarding World of Harry Potter and past Hogwarts Castle while riding Flight of the Hippogriff at Universal Orlando Resort. 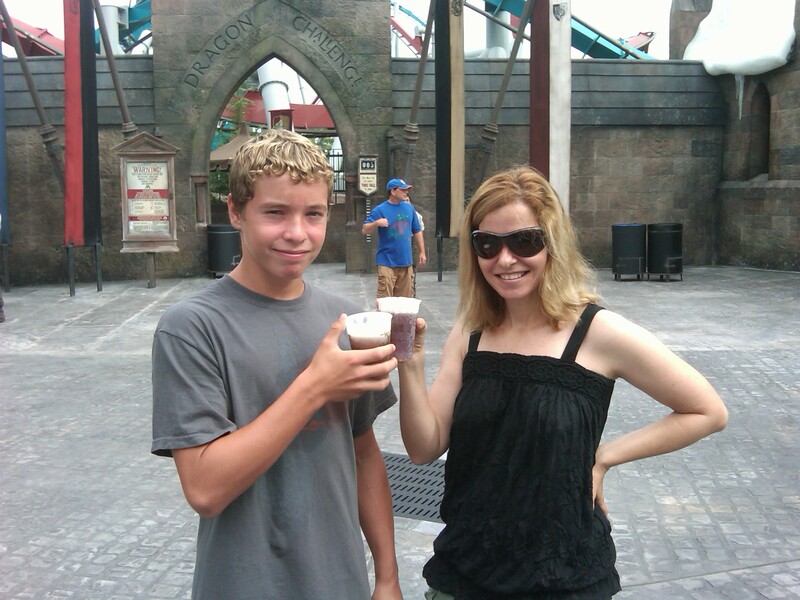 Fans of the Harry Potter books and films, the family also sampled Butterbeer, got fitted for wands at Ollivanders and toured Hogwarts Castle while on vacation at Universal Orlando over the Thanksgiving holiday. 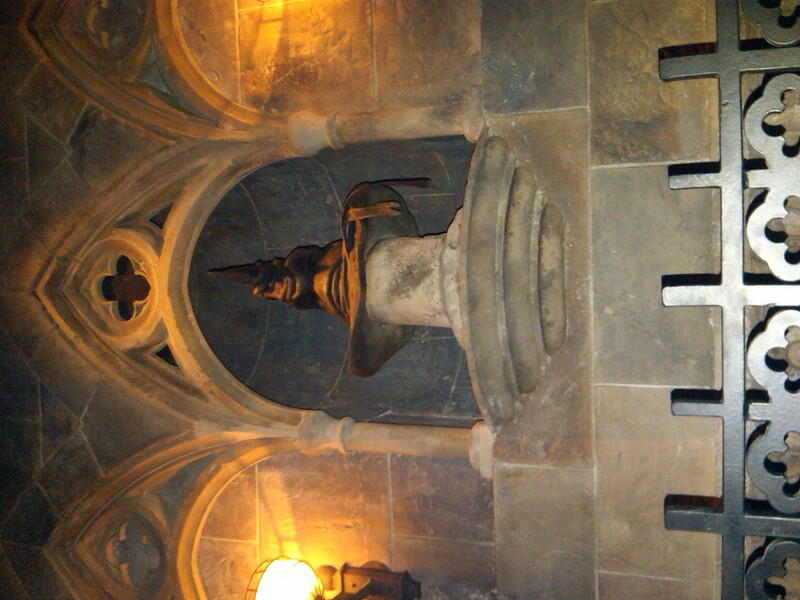 The Wizarding World of Harry Potter is the most spectacularly-themed entertainment experience ever created that was inspired by J.K. Rowling’s compelling stories and characters. 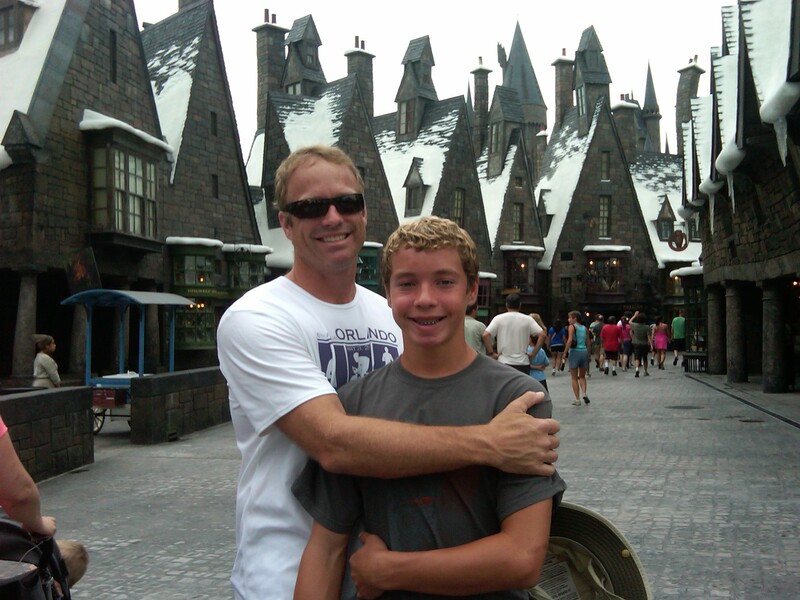 We hope the celebrity family enjoyed their time as much as the Top 5 did when we got our sneak peek back in June before the Wizarding World officially opened. At any rate, it’s nice to see a bit of Hollywood glamour here in O-Town! 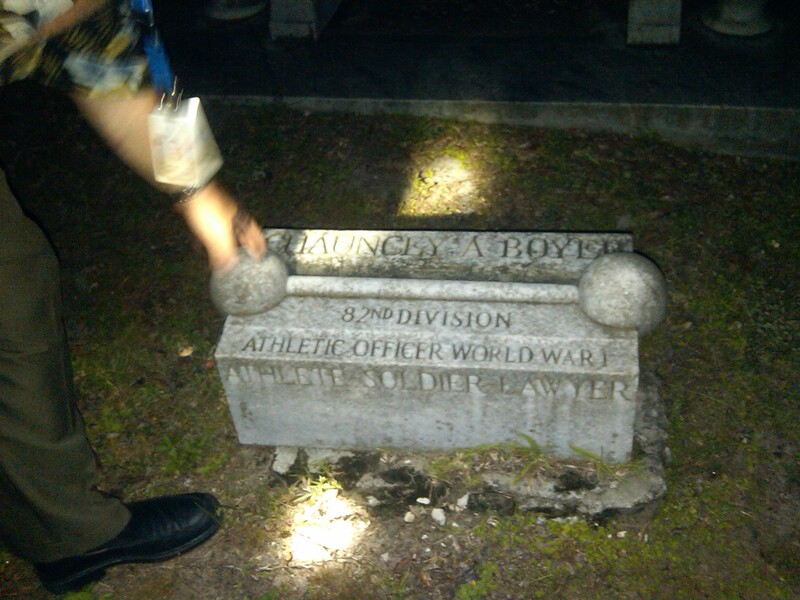 So, when Don Price, the sexton of the Greenwood Cemetery–the City of Orlando‘s only cemetery–invited us for a Moonlight Walking Tour, we jumped at the chance to stroll among the headstones and crypts, and ponder the souls that dwell there. So, into the car we went and bravely made our way to the Greenwood Street entrance, where a set of intimidating wrought iron gates lit by flickering lamps awaited us. With a sardonic smile, Don greeted us, along with a few other unfortunate souls from the Orange County Convention Visitors Bureau and the Orlando Arts Magazine, and so our small pack followed our fearless leader armed with a single flashlight into the night. Dark clouds masked the eye of the moon and from time to time helicopters cryptically flew overhead as if searching desperately for someone or something. Other than that, the grounds were quiet as we were followed by our own footsteps. Silent owls swooped and the whisk of bats’ wings could be heard. 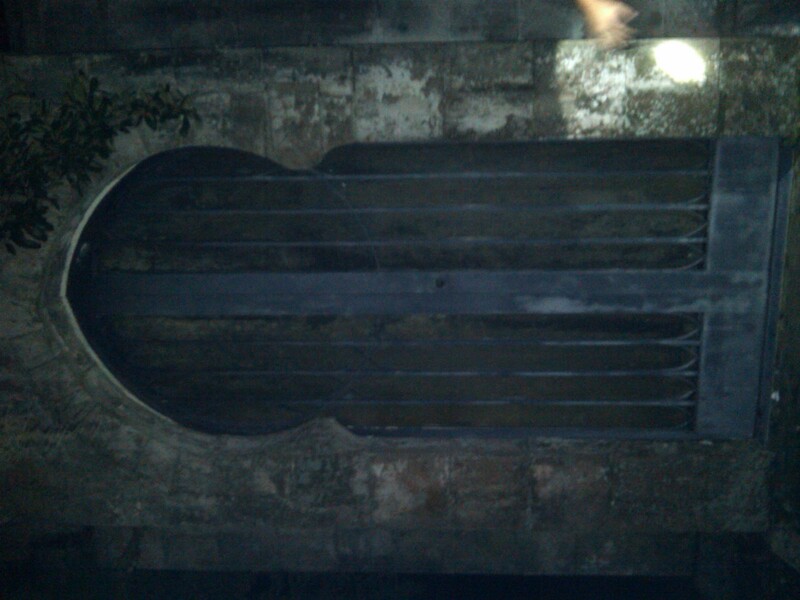 I, of course, shivered despite the heat and humidity, and was fully prepared for a shadowy figure to be stalking us. What I found instead, was a truly refreshing new look at the city I call home. 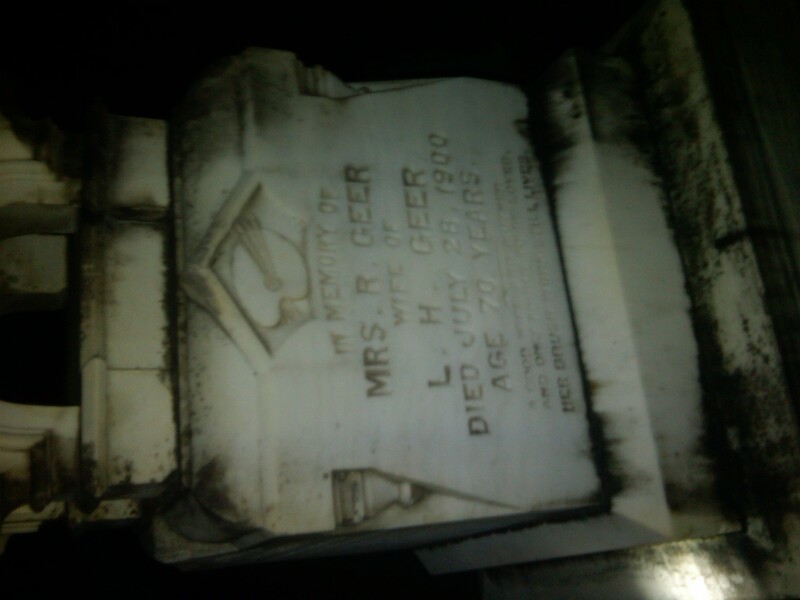 The first grave we happened upon was that of July Perry, a black man who in 1920 was stabbed, shot, and then hanged on the property of Orlando judge John Cheney as a dire warning. (I had no idea the namesake of Old Cheney Highway had played such a large part in the racial tensions that historically plagued the South!) During the time of the Jim Crow Laws, Perry had been denied the right to vote, and Judge Cheney was attempting to aid Perry, by sending him back to the voting precinct to get the names of the men denying him. Perry made the ill-choice to return with a friend and a shotgun for support. In Ocoee later that night, retired sheriff Sam Salisbury would be shot in the right arm as he was attempting to serve a warrant on Perry, and things quickly spiraled out of control resulting in a lynch mob, as well as 25 black homes, 2 churches, and a masonic lodge burned to the ground. I had studied Florida’s past, hadn’t I? Why was all this missing from the history books! It should be noted we later crossed near the grave of Sam Salisbury, the retired sheriff who got shot while serving a warrant on the tragic July Perry. Karma apparently has a way of finding itself and its unknowing victims…Sam’s right arm was left paralyzed as a result of the gunshot wound on election night in 1920. However, 54 years later, Sam tripped down the stairs, and the gun he had tucked in his belt went off, killing him with a bullet to the head! 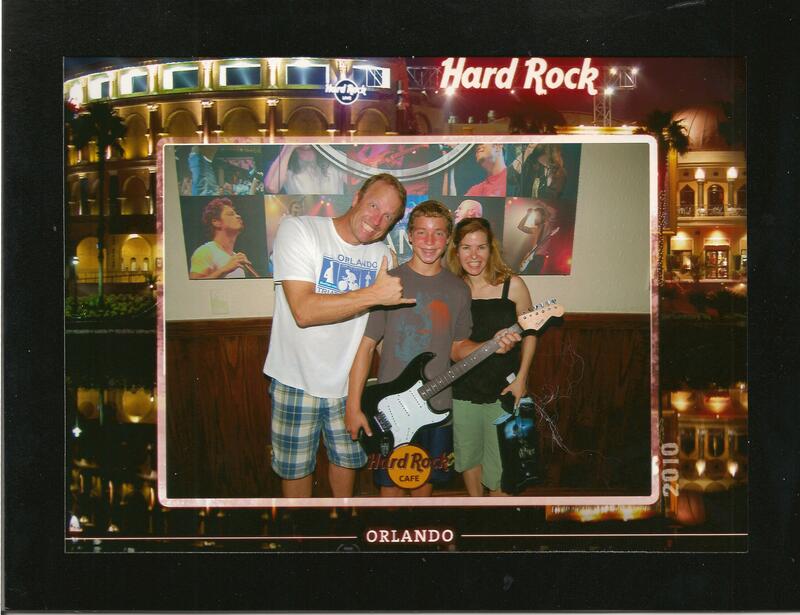 Continuing to meander through the stones, Orlando’s streets came to life as we were told stories about their namesakes. We met Samuel Robinson, think Robinson Street, who served as county surveyor for 16 years. In his travels across Central Florida, he gathered a large collection of gold and silver ornaments from Native American mounds, a collection that now belongs to the Metropolitan Museum of Art in New York. And, it should be noted that Sam Robinson chose the highest point in Central Florida for his gravesite. 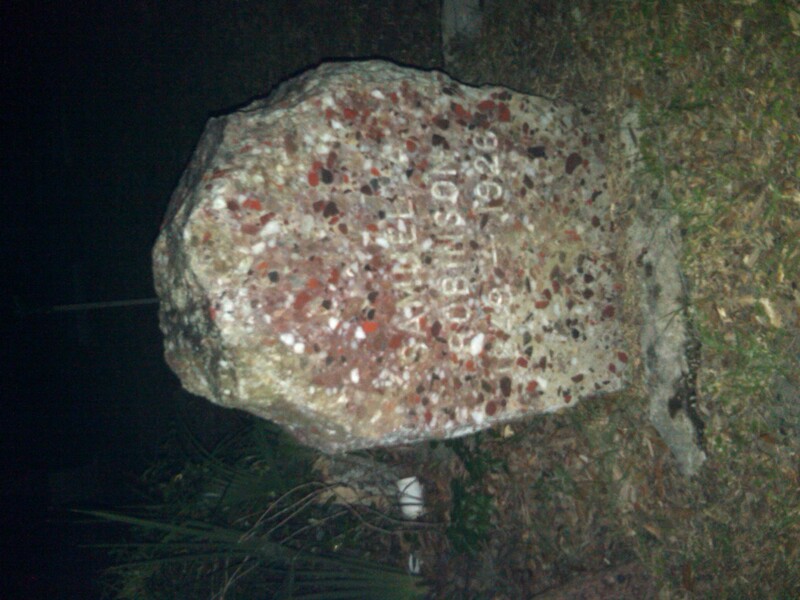 Samuel Robinson's "terrazo stone" marker. 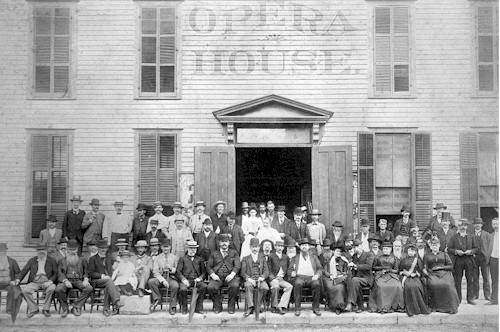 We also heard about Aaron Jernigan, Orlando’s first settler and the city’s original namesake. It would be called Jernigan until the name was changed to Orlando by Judge J.D. Spear. Spear was a great fan of Shakespeare, and relished the performances of Shakespeare among others at the Orlando Opera House, and so it is rumored that he chose to name the city after one of Shakespeare’s characters from As You Like It. (This would make sense with Rosalind Street, Orlando’s love interest.) However, other rumors of the city’s naming center around an unconfirmed account of a heroic soldier named Orlando Reeves. We ran across other names, fixtures in Orlando’s history, albeit not quite as famous as those with streets named after them. We saw the grave of Ruth Pounds, of Edgewater Drive’s Pounds Dance Studio, where generations of teens have been sent for ballroom dance and etiquette lessons. (Your Top 5 editor is included in this! I spent every Monday night during 7th grade at her dance studio…) We saw the headstone of Chauncey Boyle, at one time the strongest man in the world. 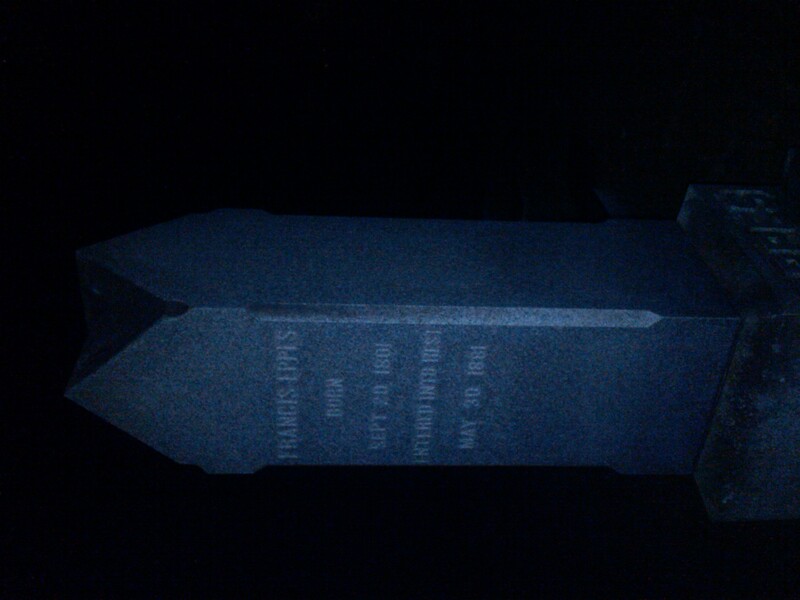 We also saw large crypts, straight out of H.P. Lovecraft‘s “The Outsider.” (By the way, if you’ve never read this tale, it is my all-time favorite!) The Wilmott family, who owned the Tremont Hotel, has a crypt with a curious window of orange glass in the back, and on certain days of the year, when the sun is just right, the entire crypt is aglow with the eerie orange color. I believe we should all come to understand the factors that led us to today, we should embrace both the warts and the beauty marks. If we don’t, how can we truly appreciate all that Orlando has overcome to be “The City Beautiful” it is today? Don retold history in such a respectful yet intriguing manner, that he rivals any professional story-teller. So, in between your trips to the theme parks this Halloween season, make your way to the 100 plus rolling acres near downtown where Orlando’s most exclusive and famous residents now call home. You will be glad you did! 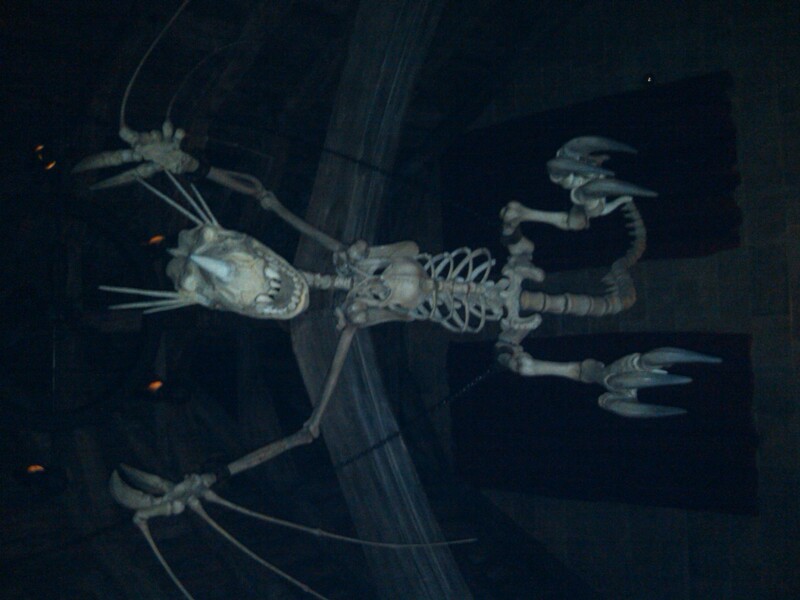 So, after we made it into the Wizarding World of Harry Potter, we then bee-lined for the main attraction: Hogwarts Castle! From the outside, it is fairly intimidating. It looks like a real castle and appears to have the same overwhelming dimensions as that in the movie. It sits atop a craggy mountain and its towers soar into the air impressively. There was hardly any line for most of it, thanks to our 8:00 a.m. admittance, so we snaked through the queue pretty quickly. 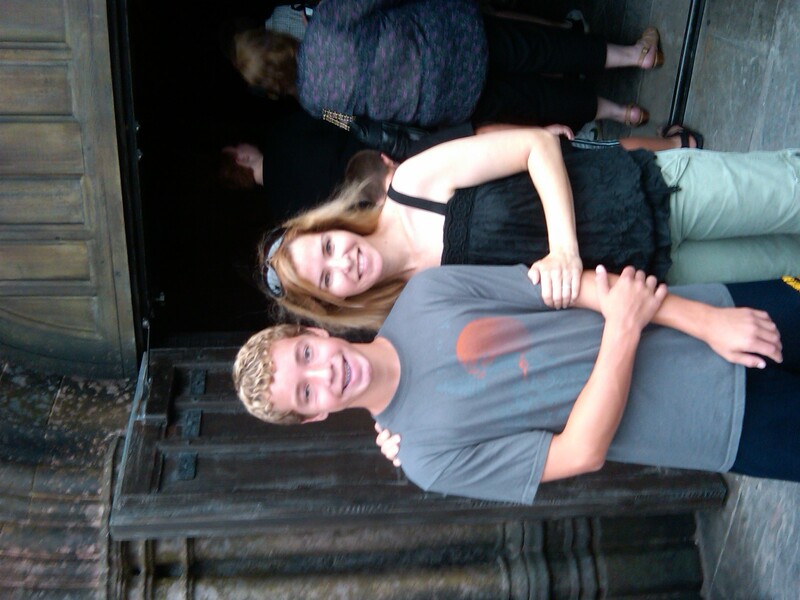 The neat thing about the castle is that it is actually two attractions in one. 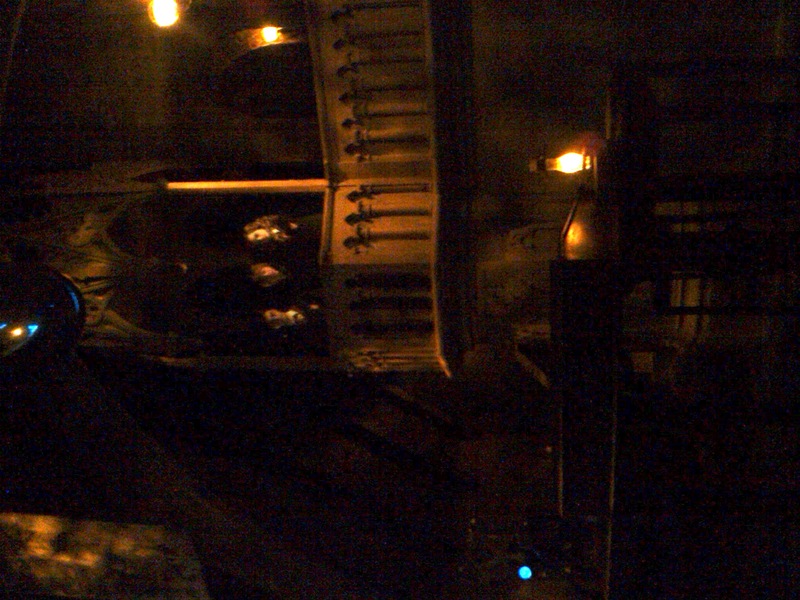 You find as you wind your way through very dark castle passages, that the queue itself actually is a show. 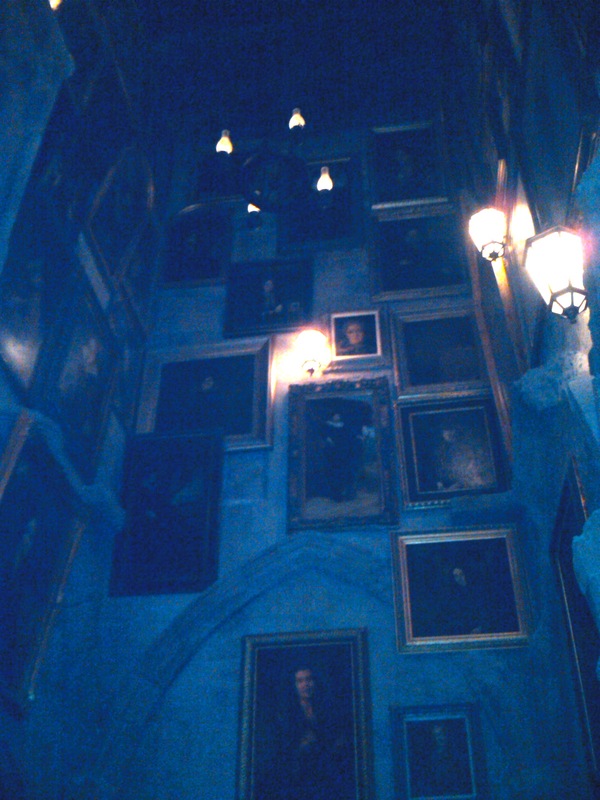 Here you see all sorts of appropriate Potter memorabilia: large statues from the houses, the grand stairwell where portraits talk noisily, as well as a peek into the headmaster’s private office, where Dumbledore himself greets you. And, thanks to modern technology, he actually looks as if he is really there! 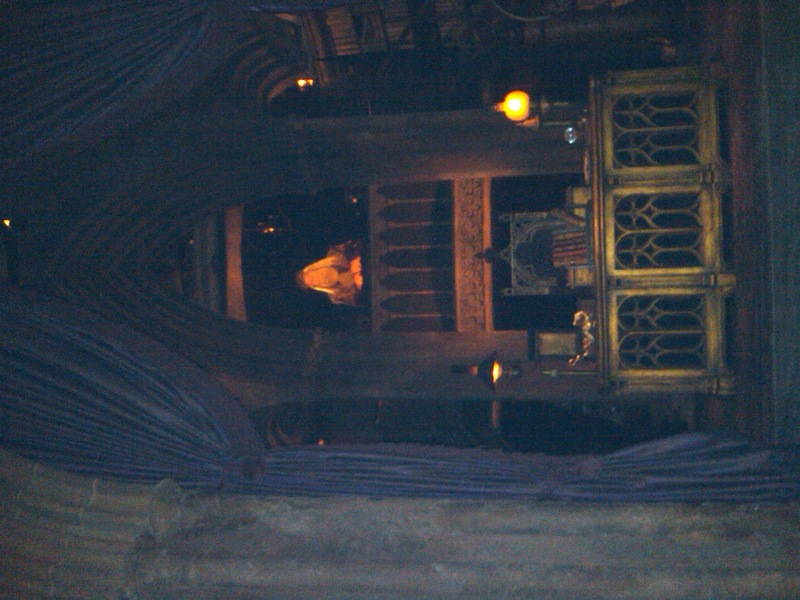 Once we were moving again, we passed by the Fat Lady’s portrait as she lectured us about Harry Potter getting into trouble (or something like that) before we saw the Sorting Hat. This was a very cool and welcome effect, as you can get very close to the hat, watching it realistically drone on about safety on the ride. We loaded four to a “car” where we were strapped into individual seats and then took off as a unit in the simulator. 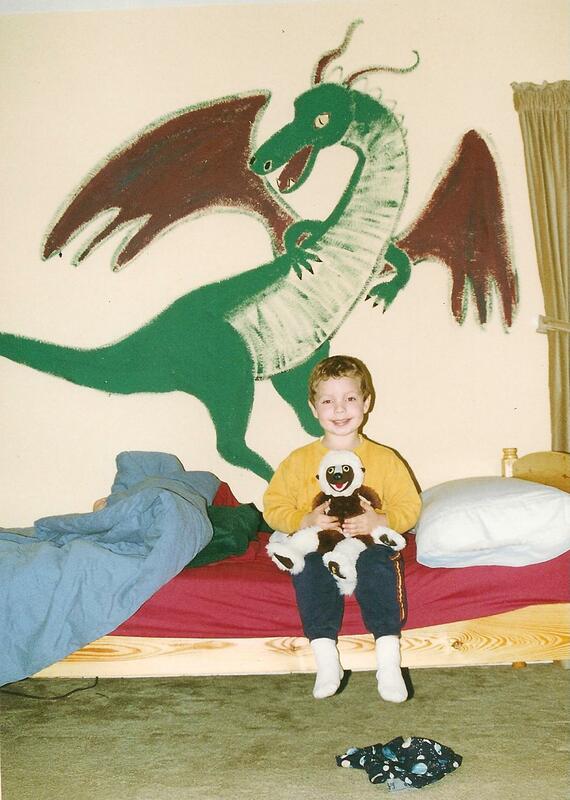 As we moved, my seat tilted backwards, forwards, and swung around mightily. I saw a combination of amazingly realistic green screen images of the outside of the castle, while flying on a broom behind Harry and Ron, and actual mock ups jumped out at me as I “rode” by. 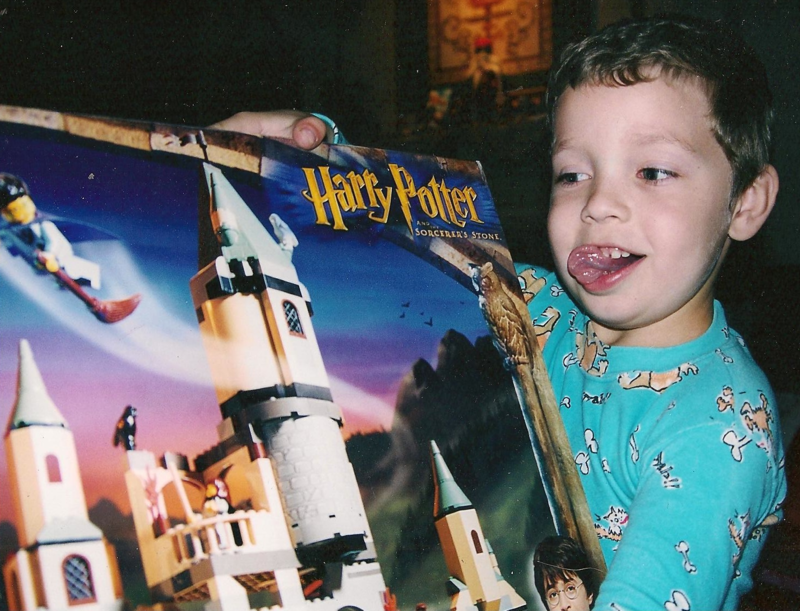 I was chased by dragons, spiders, and dementors and got to swing through a Quidditch game… it really was fun! And, yes, I did forget there were other riders in the “car” beside me. I felt alone on my boom! All in all, this was well worth the wait during the delay. 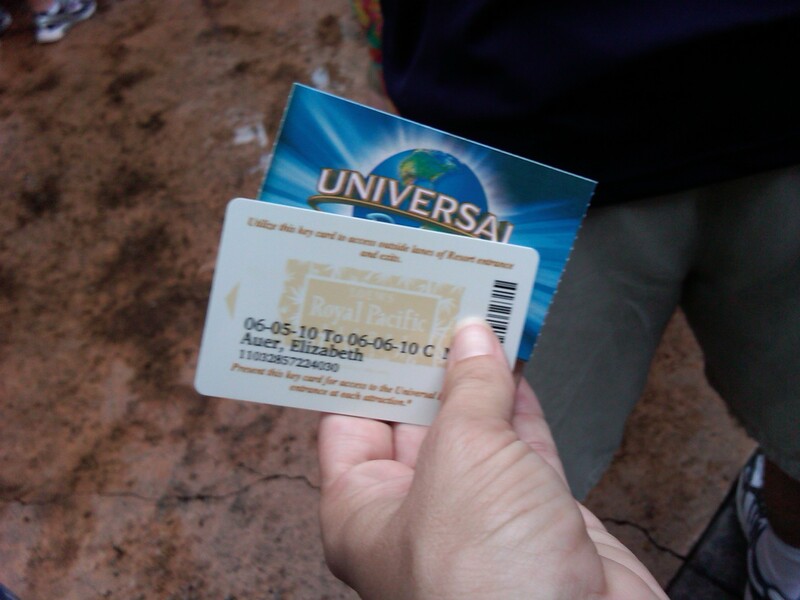 My son and I loved it…my hubby, however, who is sensitive to motion sickness on such rides, was done for the day! So, be warned, o ye of sensitive inner ears, this ride is definitely topsy-turvy and very capable of making you feel like you are really flying! 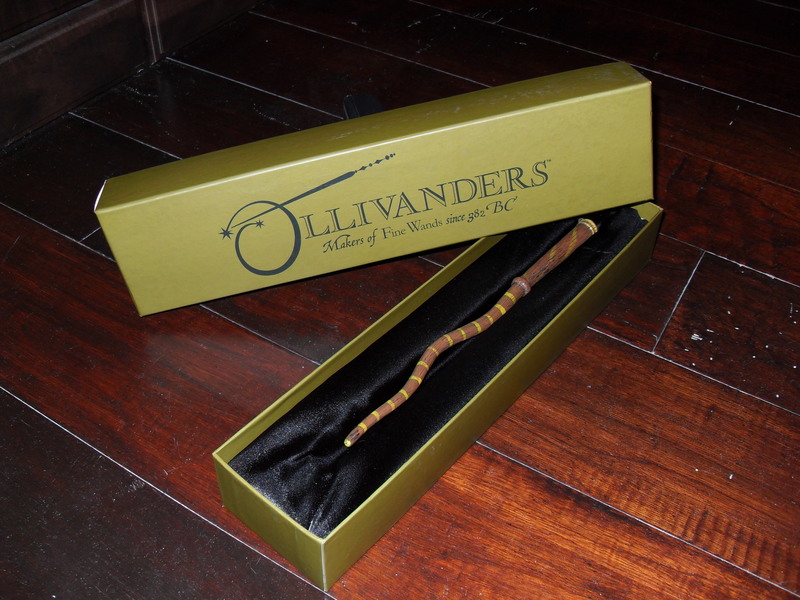 Be sure to check back later for Sneak Peek Part 3: Ollivander’s and Butterbeer!